The US Navy announced in February that five types of warships would compete for a bid to supply the branch with 20 next-generation guided-missile frigates. And last week, we got to tour one of those five frigates: Fincantieri’s FREMM Alpino, a ship outfitted with anti-submarine systems. “The world has changed certainly in the last two years when you take look at what Russia is doing and what China is doing,” retired Admiral Rick Hunt, who now works for Fincantieri, told Business Insider on the ship’s bridge. 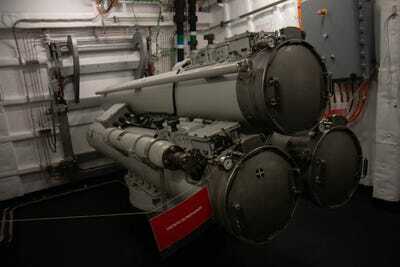 “And frankly, I think that means we got to up the game of the high-low mix that we have traditionally held,” Hunt said. The Alpino is about 472 feet long, about 65 feet wide, has about a 17 foot-draft, and a total displacement of 6,500 tons. 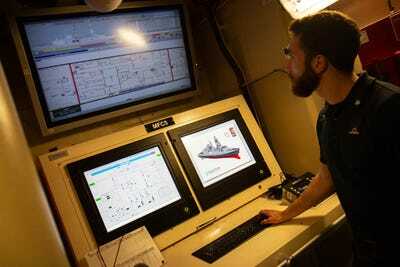 The ship accommodates about 200 people, and has a full load displacement of about 6,500 tons. As you can see, the ship has a lot of angles and is rather stealthy. 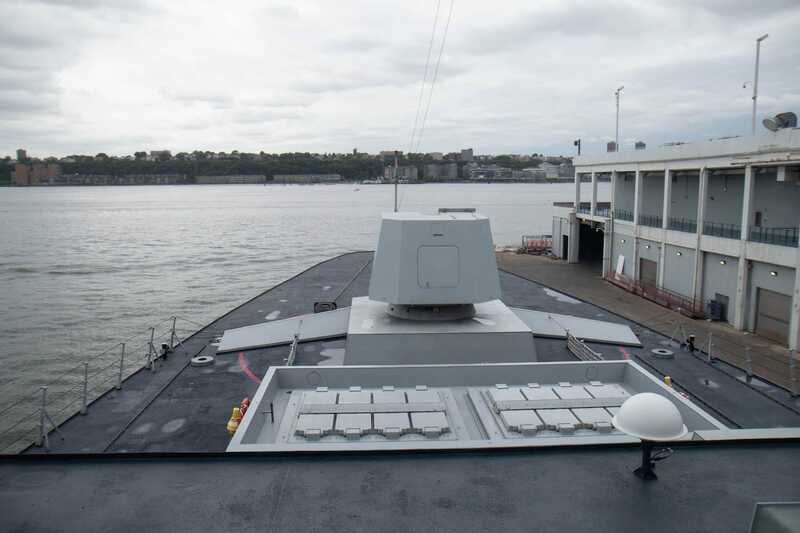 Not as stealthy, as say, the new Zumwalt destroyers, but stealthy nonetheless. 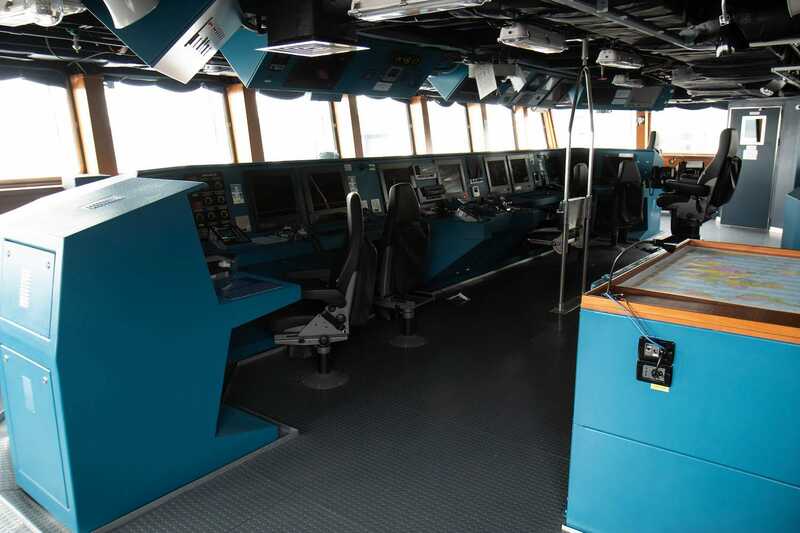 This is the bridge, which is very open and provides a 180-degree view from the bow. 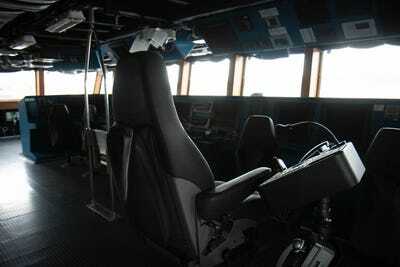 Here’s another angle, with the captain’s chair in front. 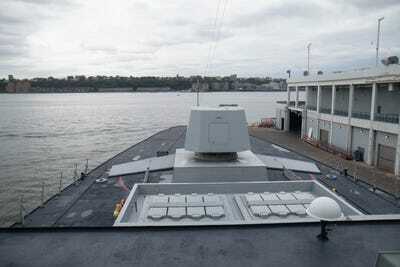 And here’s a shot from the bridge looking onto the bow. 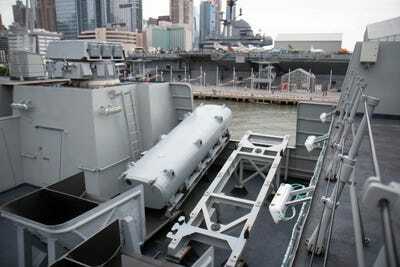 Although we weren’t allowed on the bow, you can see the 16 multi-functional VLS missile tubes situated behind the 76mm Oto-Breda gun. 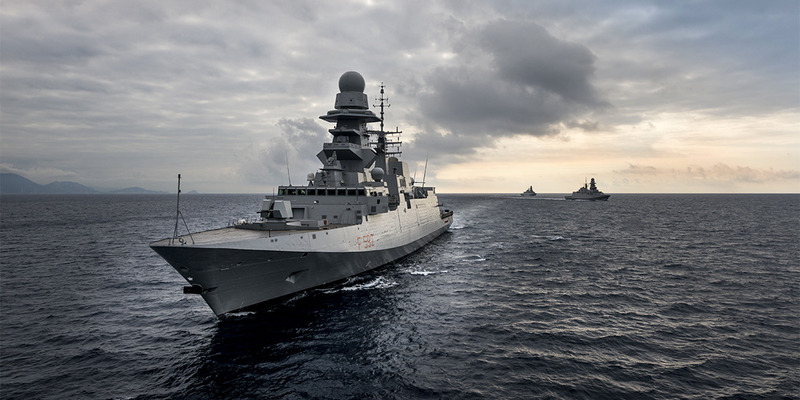 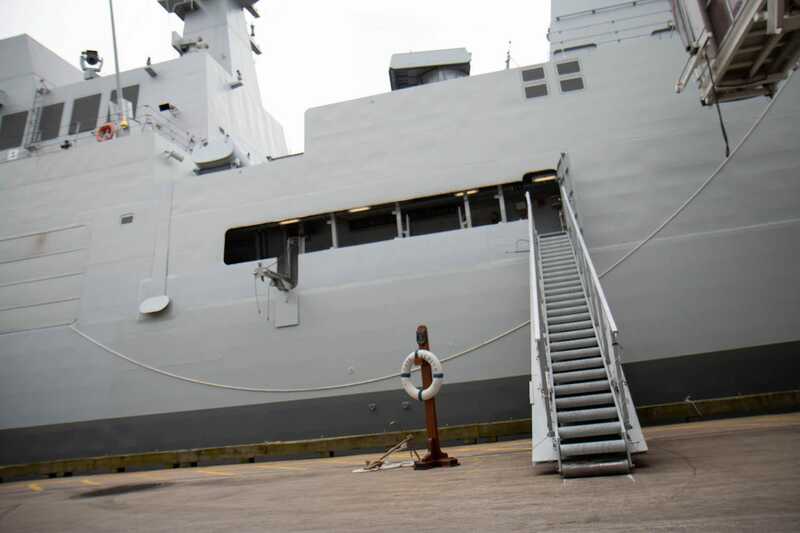 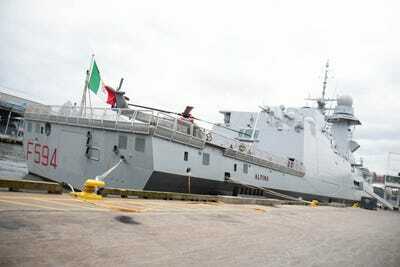 The Alpino we toured was operated by the Italian Navy (Fincantieri is an Italian company), and therefore if the US purchases the Alpino design, it will equip the ships with its own systems. 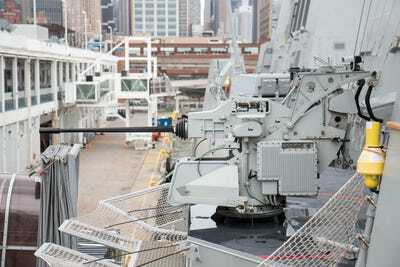 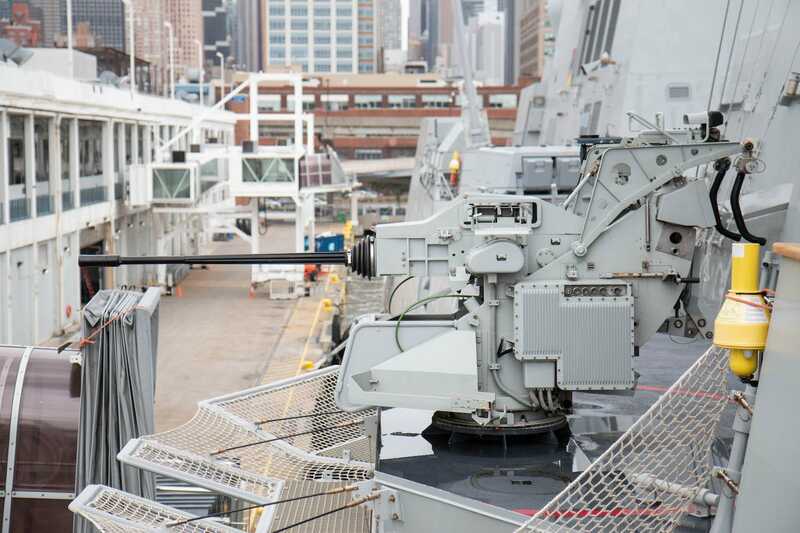 The US has already decided that the two 76mm guns on the bow and stern will be replaced by 57mm Mark 110 guns, and that there will be 32 multi-functional VLS tubes instead of 16. 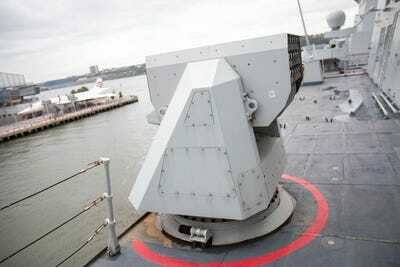 The US has not yet determined which other systems will be onboard, but Hunt said that the Navy might even consider putting high-energy lasers or a rail gun on the frigate. 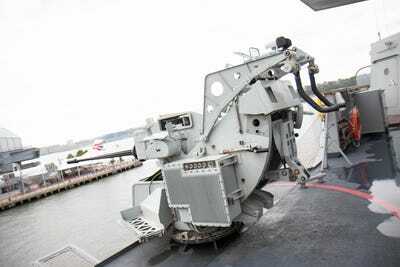 Here’s a shot of the other 76mm gun on the stern overlooking the flight deck. The Alpino also has two Leonardo Oto Melara/Oerlikon KBA 25mm cannons. 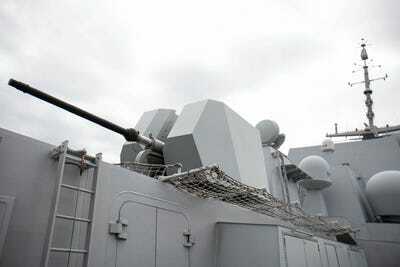 It can also carry four to eight Teseo Otomat Mk-2/A anti-ship and land attack missile tubes. 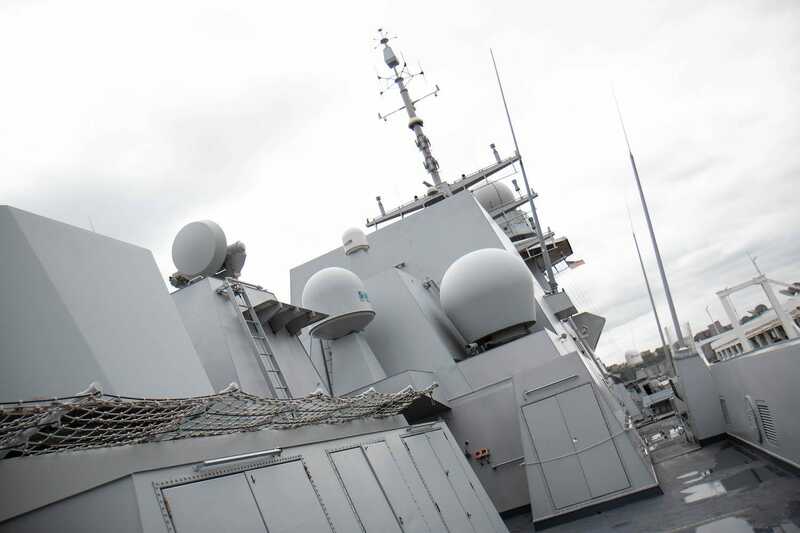 Two SLAT anti-torpedo countermeasure systems. Two anti-air decoy launching systems. And two triple-tube torpedo launchers, which shoot out the side above water. 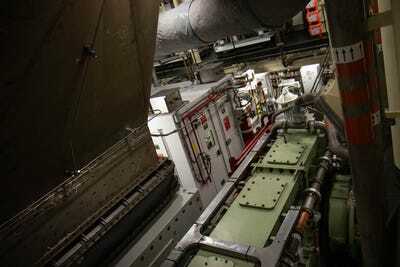 Here’s a shot of the engine room. The Alpino is basically a hybrid, powered by one 32 megawatt gas turbine engine and two 2.2 megawatt electrically powered engines, bringing the ship to a maximum speed of more than 31 mph. 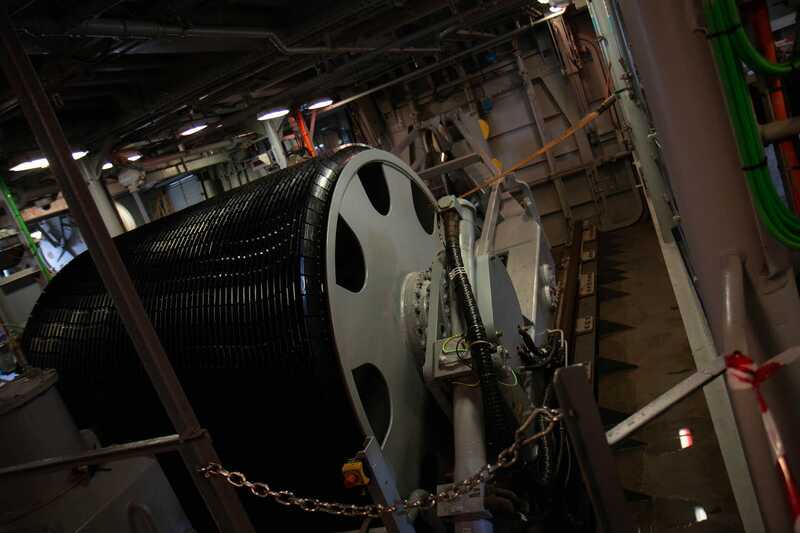 As an anti-submarine warfare ship, the Alpino has a variety of sensors, including the main Thales variable-depth sonar seen below, which is deployed into the water through the door in the background. 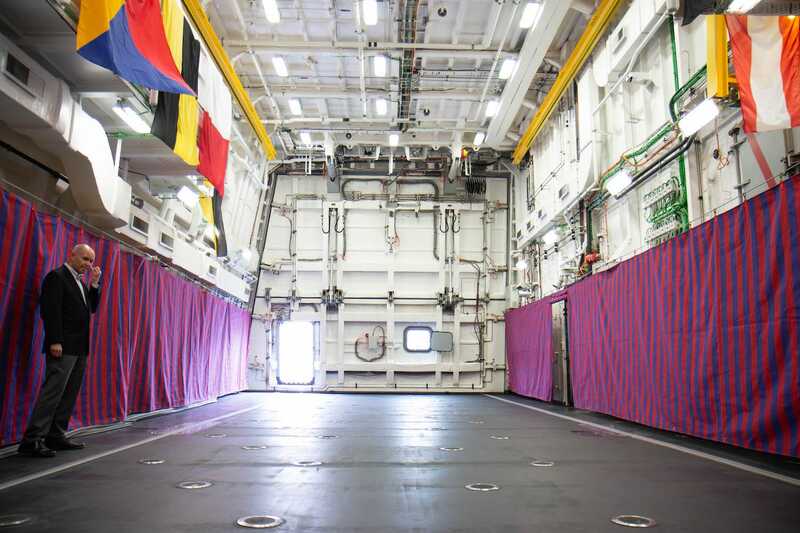 Here’s a better shot of the Thales sensor (the yellow part), and the door through which it is deployed. 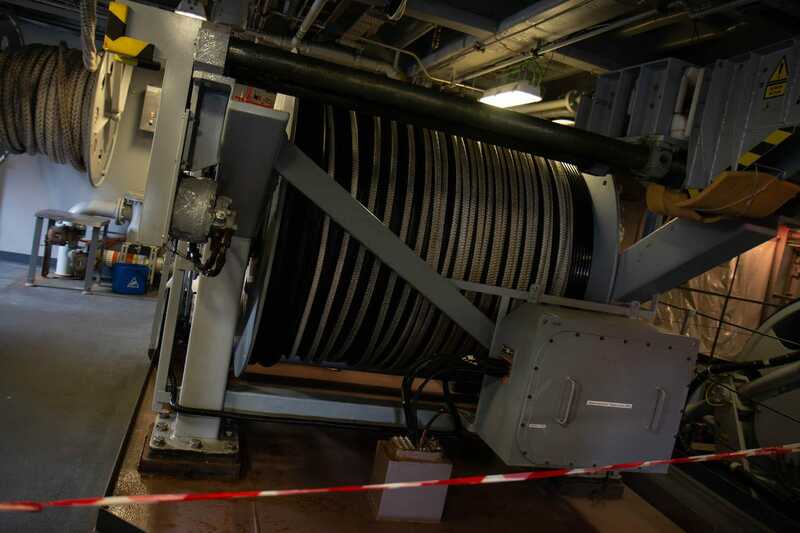 And this is the towed array sonar, which uncoils into the water much like a radio antenna. 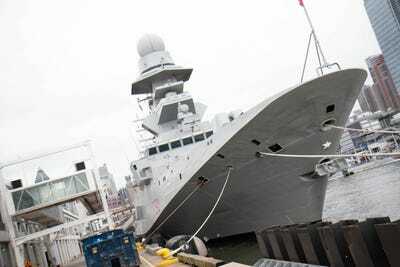 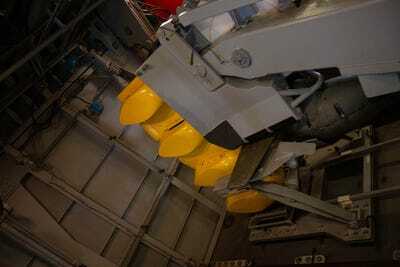 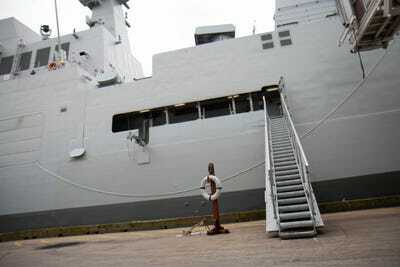 The ship also has air and surface search radars, and commercial radars. 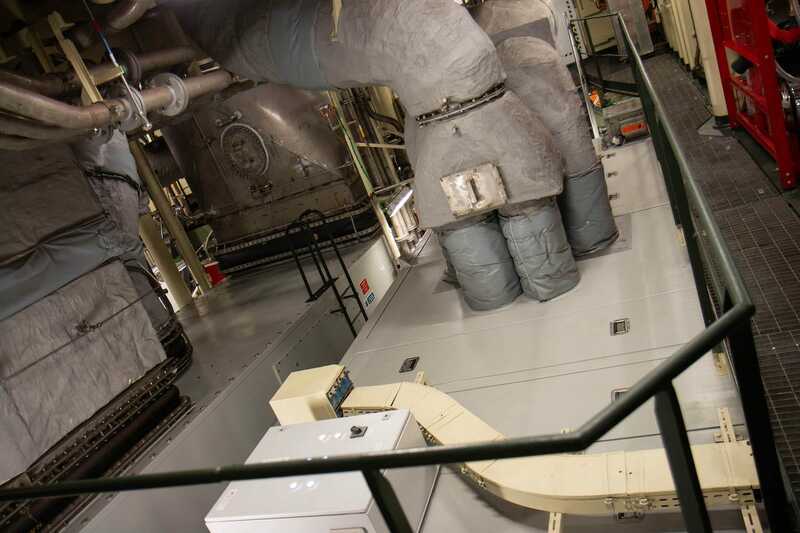 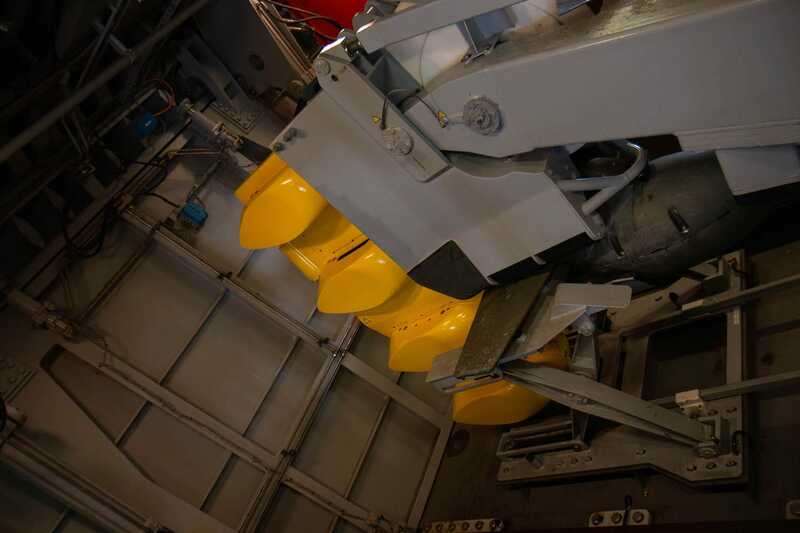 The Alpino also has a modern damage control system, with multiple cameras and damage control monitors throughout the ship, an atomized demineralized water sprinkler system and more. 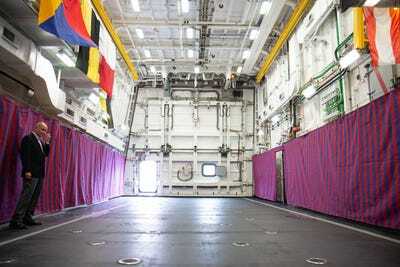 Here’s one of the two hangar bays, which can hold NH-90 or EH101 helicopters. 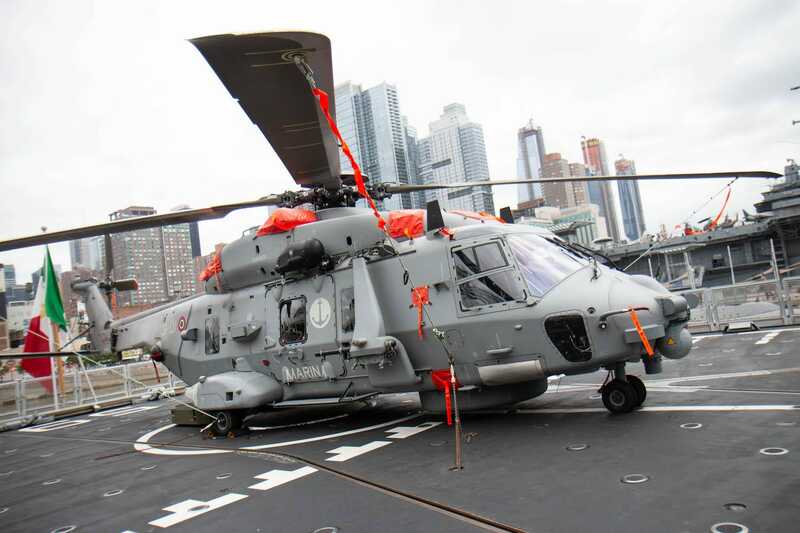 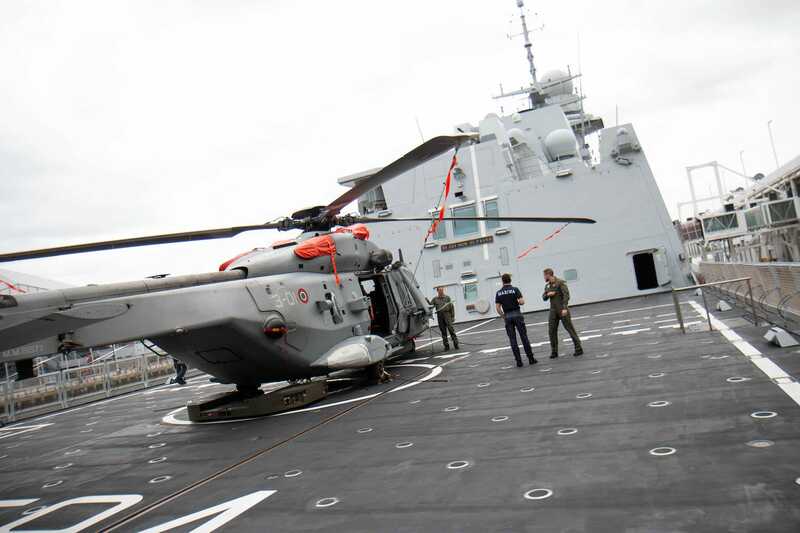 The US, however, has required the frigate it chooses to be able to hold one MH-60R Seahawk helicopter, while the other hangar bay will probably be used for unmanned aerial vehicles. 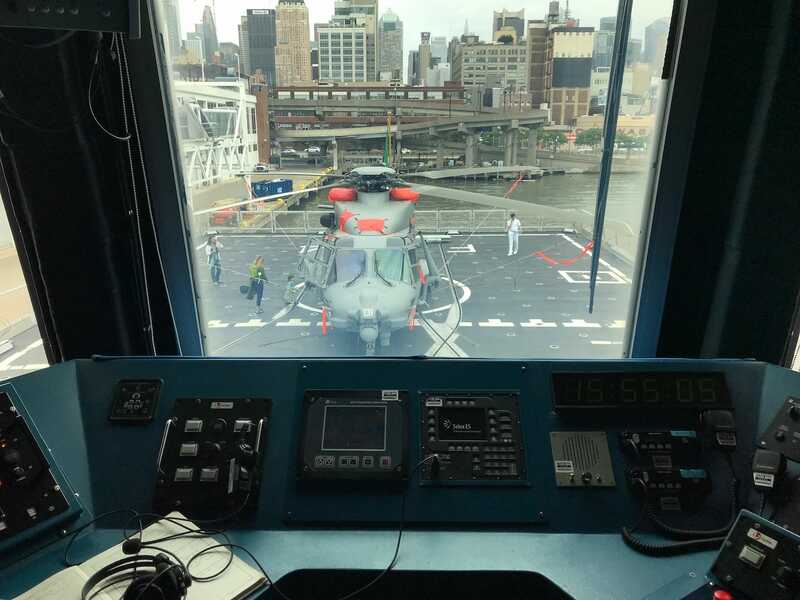 And here’s the flight deck, with an NH-90 on the left. Here’s a close up of the chopper. And lastly, here’s a shot of the flight deck from the control tower. 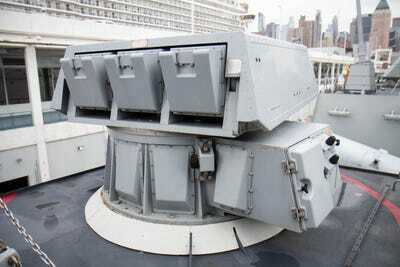 The US will award the contract to one of the five ships in 2020.